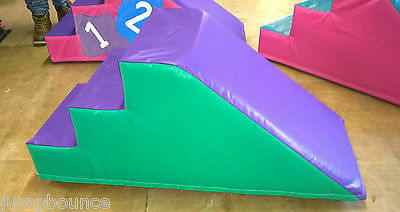 JumpBounce stock a large range of Foam Slide sets with steps or climbing blocks, any combination of design. Need a special shape call we can always help. Made in any colour all top quality foam and material. Activity Set on 4 x 5ft x 3ft Mats Make long or Square. 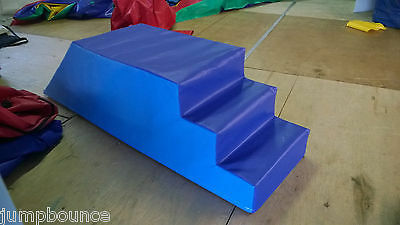 Soft Play Log Step, Block & log step ideal soft play extra 18" x 18" x 58"